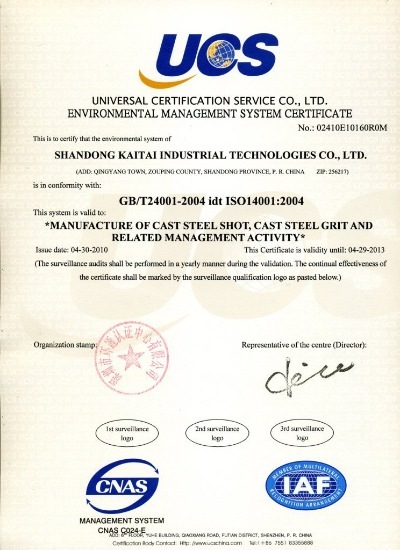 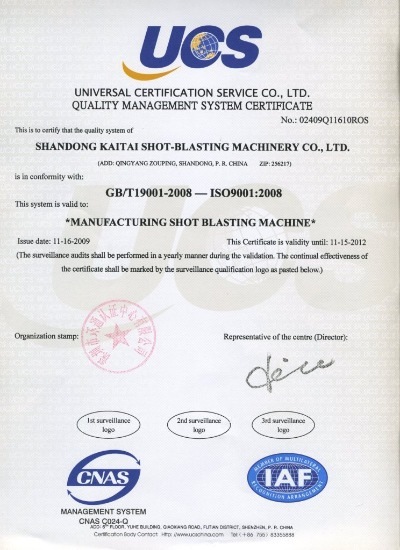 Company Overview - Shandong Kaitai Shot Blasting Machinery Share Co., Ltd.
10YRSShandong Kaitai Shot Blasting Machinery Share Co., Ltd.
Shandong Kaitai Shot Blasting Machinery Co., Ltd. is a professional enterprise which integrates technical research, development, production, and installation with debugging together. 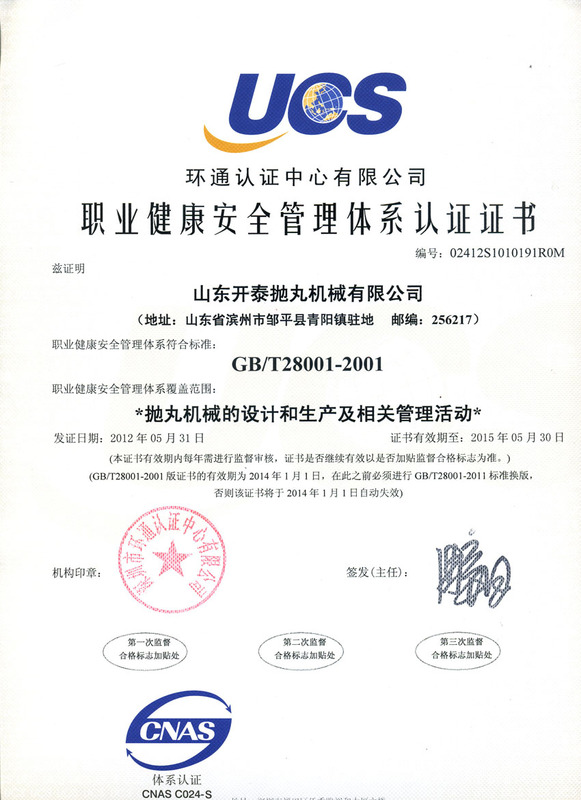 Cooperated with the Machinery College of Jinan University, we have developed cleaning and intensification equipment of shot-blasting and shot-peening.Our company has first-class technology research development center and well-developed quality management system, and we have passed ISO9001 international quality system certification. 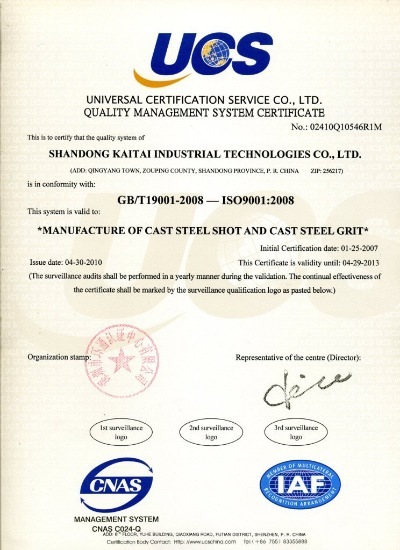 Our company is the National Blasting & Peening Standardization Technology Committee Unit and our company takes part in and sets down the national standard Parabolic Shot Equipment General Technical Condition.Our main products are cleaning machines, sand-peening equipment, and dust-removal equipment, and we offer ideal key equipments to casting, forging and heat treatment, steel structure, container, machinery, shipbuilding, aircraft, locomotive, and machine tool industries.Our products have exported to more than 30 countries and regions. 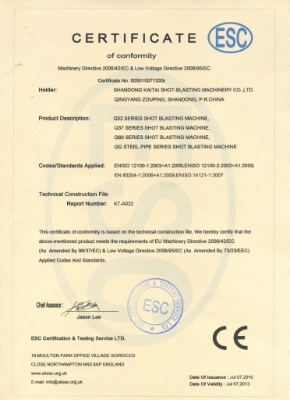 ESC Certification & Testing Service LTD.